HOPE –refers to the agency, HOPE of Evansville, Inc.
Assistance –refers to down payment and/or closing cost assistance provided by HOPE. Clients – refers to applicants or potential homebuyers using HOPE’s Assistance. Program – refers to HOPE’s homebuyer education and financial Assistance program. 2. FIRST-TIME HOMEBUYER. Clients must be first-time homebuyers. Some exceptions include divorcees, owners of manufactured homes, and previous homes owned more than 3 years ago. 3. MORTGAGE AND TERMS. Clients must qualify for and obtain an acceptable mortgage with a lender of their choice as long as that lender does not charge excessive fees, high and/or variable interest rates, balloon payments, or extraneous fees. The monthly payment including principal, interest, taxes, homeowner’s insurance and private mortgage insurance cannot exceed 30% of the buyer’s monthly gross income. Prior to closing, Clients must provide verification of homeowner’s insurance listing the City of Evansville Department of Metropolitan Development (DMD) as a second mortgage holder. 4. PURCHASE CONTRIBUTION. Clients must contribute toward their home purchase, which will be matched as needed by HOPE on a two-for-one basis up to a maximum of $3,000 or $2,000 if the Clients receive other down payment assistance. For example, if Clients contribute $1,500, HOPE will provide $3,000 for a total of $4,500 available for the home purchase. Or, if the Clients receive another form of down payment assistance (i.e. HOP funds from ONB) then the maximum assistance from HOPE will be $2,000. The minimum down payment assistance provided is $1,000. Both the Client’s and HOPE’s funds can be used for down payment and /or closing costs, and may not be adequate to cover the total purchase costs. Clients cannot receive cash back at closing. 6. LEAD BASED PAINT INSPECTION. If the house was constructed before 1979, a Visual Assessment must be completed on all painted surfaces. If deteriorated paint is found, appropriate action must be taken to stabilize each deteriorated paint surface using acceptable lead-safe work practices. At the Visual Assessment stage, Clients have the option of requesting a professional test for lead at their expense. If the Visual Assessment shows no deterioration of a painted surface, Clients can sign a waiver stating they are aware of the potential presence of lead paint and choose not to address it. 7. COURSE COMPLETION. HOPE’s “Live the Dream” course must be successfully completed by the Clients to become eligible for Assistance, however course completion does not guarantee Assistance. HOPE charges a $80 fee for this course. Refunds of this fee are not given should the Clients fail to qualify for and/or receive Assistance. "Live The Dream" is offered in person and online. 8. EVANSVILLE PROPERTIES. 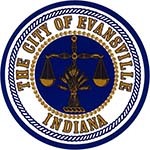 Only properties purchased within the City limits of Evansville are eligible for Assistance through HOPE. 9. HISTORIC REVIEW. This review is conducted by DMD and must be completed prior to purchase and prior to any repair work done on the property. 10. PURCHASE LIMIT. Sales price cannot exceed 95% of the area median purchase price. According to DMD, that sale price is $120,000. 11. CONTINGENCY ADDENDUM. HOPE requires the completion of a Contingency Addendum with the executed Purchase Agreement. Clients should receive confirmation of their Program eligibility prior to signing any Purchase Agreement. If Clients execute a Purchase Agreement prior to receiving eligibility confirmation, they understand they are doing so at their own risk and possible expense. 12. REPAYMENT REQUIREMENT. Any grant Assistance provided by HOPE to the Clients is contingent upon the Clients living in the property as their primary residence for 5 years and not selling the property or re-financing their mortgage within that 5-year period. No payments are required during this period; however failure to adhere to those restrictions could result in a partial or total repayment of the Assistance amount. The Assistance loan will be due and repayable upon the sale and transfer of title before the end of loan term of 5 years. The loan is forgiven at 20% per year over 5 years. A deed restriction must be signed by the buyer and recorded by the County Recorder. 13. FREEDOM OF CHOICE. Clients understand they are free to choose lenders, loan products, and homes regardless of any recommendations that may be given by any representative of HOPE or any partner of HOPE. While affordable homes, lending products, and/or purchase Assistance grants may be offered by HOPE or by partners of HOPE, Clients understand and acknowledge they are under no obligation to use any of these programs or services. 14. AVAILABILITY OF FUNDS. Assistance grants are dependent upon the availability of HUD funds to HOPE. These funds are not guaranteed to any applicant or Clients of the Program. 15. MAJOR SYSTEMS. HOPE REQUIRES that Clients determine the age and condition of the home’s major systems prior to purchasing the property. A 5 year life expectancy rule is required by HUD and will be applied to all major systems, which is defined as HVAC, Plumbing, Electrical, Roof, Foundation, and Walls. Home Inspectors or qualified contractors must determine and report the remaining life expectancy of these systems. If it is determined the remaining life expectancy is less than 5 years for any system, it will have to be replaced, or Assistance will not be granted. 16. INSURANCE & RESIDENCY VERIFICATION. HOPE will conduct an annual review to determine whether or not the Clients maintain homeowners insurance an whether or not the Clients‘ house remains the Clients‘ primary residence. HOPE will send the Clients a letter in the mail asking for verification (i.e. signed affidavit of residency and proof of insurance) once per year on the anniversary date of the Clients‘ closing. These forms of verification must be completed and returned to HOPE.